Our cozy teapot and steaming cups of tea will put you in the mood for stitching! 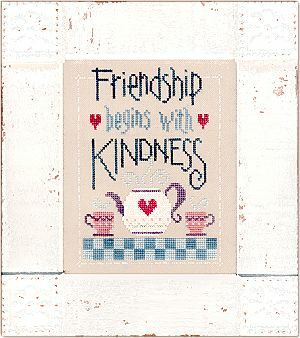 This charming sentiment is stitched in a lovely color palette you'll savor while you stitch. Let's raise our teacups to friendship and stitching!